We are manufacturing, trading and supplying Wet Type Electromagnetic Clutch. Factory fitted & Aligned rotor and coil body assembly. 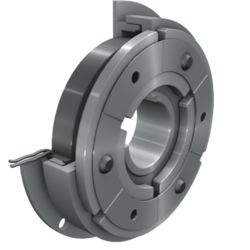 Magnetic Clutch Assembly made from pure iron, n035 magnets, pedestal bearings and precision machined components. - Smooth desengagement, even during high torque. - No abratision during clutch disengagement. - Maintenance-free for exceptionally long life. - Easy to assembled and adjust. engaged by 24 volts d. C. (others on request). opened by spring force (in special cases also vice versa). We manufacture a wide range of Binder clutches of all sizes and types. Binder Clutches are available in both Toothed type and Multidisc type. 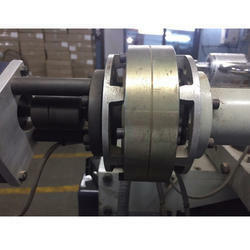 Magnetic Powder Clutch Is Applied In Winding Tension. Match With Tension Controller To Use. S.K.ENGINEERS is the leading supplier of a wide variety of single disc clutches, brakes, clutch brake combination (encased and open versions) equivalent to leading international brands like Lenze , KEB , Ortlinghaus, Miki Pulley, Ogura and others with torque ranging for 0.5 kgm to 40 kgm.